With irreversible change in prospect, how can you plan for resilience? Organizations need resilience in the face of an increasingly broad and unpredictable risk landscape. This is especially true when it comes to energy and sustainability. Investors and customers alike recognize the effects of climate change and related weather events. And the pressure these and other groups are applying to drive change can no longer be ignored. One risk that is particularity salient for companies is global warming and resource scarcity, as environmental changes inevitably affect some facet of every business’s operations. Extreme weather caused by climate change impacts the seasonal availability of water and intensifies both flood cycles and droughts. This, in turn, reduces agricultural productivity and causes global food production to decrease by 2% for every decade of warming. The energy needs and costs of raw material extraction are becoming more acute. 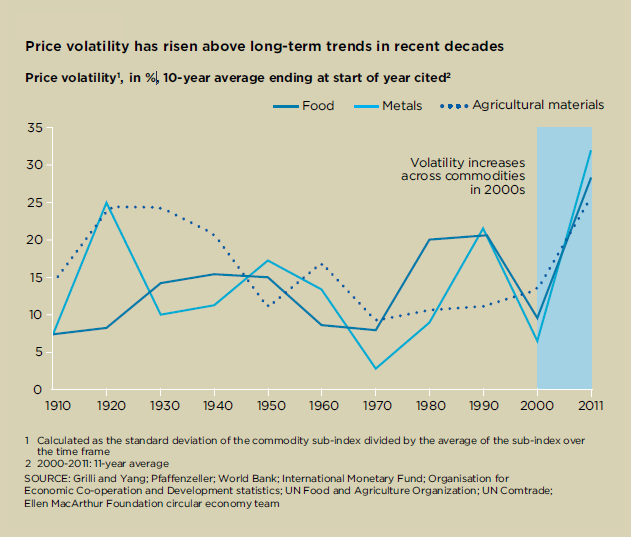 Consequently, price volatility levels for metals, food and non-food agricultural output in the first decade of the 21st century were higher than any single decade in the 20th century. These pressures are set to intensify over the decade as the impacts from global warming and resource scarcity increase, and the demand for food, water and energy grows. Investors and consumers are also demanding more transparency from companies. Global asset manager Aviva Investors recently warned more than 1,000 companies that they face shareholder backlash if they fail to publicly disclose the risks climate change poses to their business models. Physical impacts, such as an increase in raw material costs, resource scarcity or asset damage caused by extreme weather. These impacts can also affect company employees and consumers, because of the potential for loss of life or property from fires and floods, or through increased rates of disease. Physical impacts often carry direct financial implications that can be significant. Systemic impacts, such as required changes in governance, policies, technology, regulations, organizational design, organizational purpose or the marketplace to address climate change mitigation and adaptation. Behavioral impacts, such as changes in consumer demand and buying behavior, employee and community health and well-being, and population fluctuations caused by human migration. 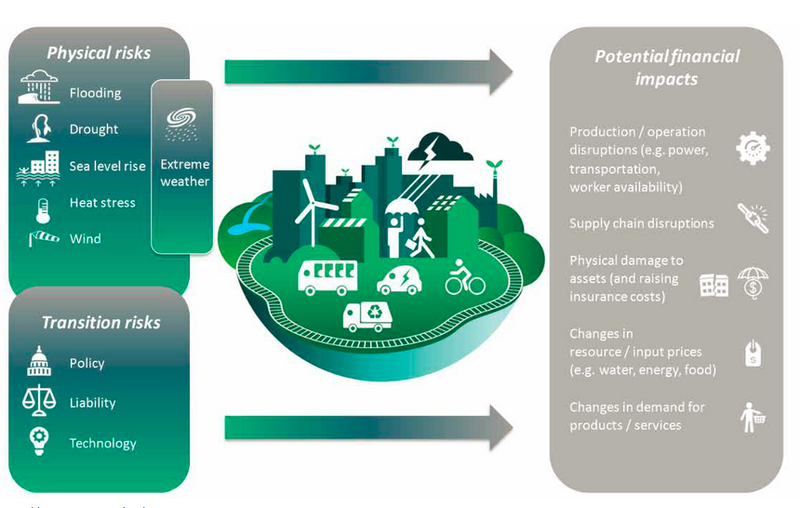 There are pragmatic, tangible strategies organizations can deploy, such as scenario modelling, to help evaluate climate-related risks across the value chain. The Task Force on Climate-related Financial Disclosures (TCFD) has developed a framework to help organizations identify and disclose those risks that are most material to their business. TCFD recommendations have already been integrated into the CDP climate questionnaires, and companies that disclose to CDP will be expected to respond. These questions include new examinations of the resilience of an organization in different climate-related scenarios, including a “2 degrees Celsius or lower” scenario. Embrace Active Energy Management (AEM). Align energy efficiency, sustainability and energy supply goals, data and strategies to increase collaboration across teams. Implementing efficiency measures and software to maximize and measure reductions in resource consumption. Committing to, and implementing, a carbon reduction target through the Science-Based Targets Initiative. Actively disclosing emissions and water consumption data to CDP. Setting an aggressive target for renewable energy purchasing, such as 100% renewable electricity, and using large-scale procurement to rapidly advance towards this goal. Integrating circular economy practices that reduce waste and maximize use of raw materials. Exploring distributed energy resources, such as battery storage, CHP and microgrids to increase power resiliency. Use a climate model like the one available from TCFD to identify potential business risks and increase transparency. Of note: TCFD recommendations are now incorporated in the credit scores of S&P Global Ratings. 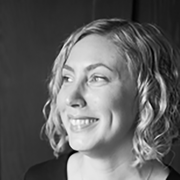 Watch changing legislation in global markets. For instance, France’s Article 173 climate-reporting law requires institutional investors and asset managers to disclose how their business strategies cover climate change.